Jessie Young may only be 18 years old, but her young spirit is what has driven her to create. 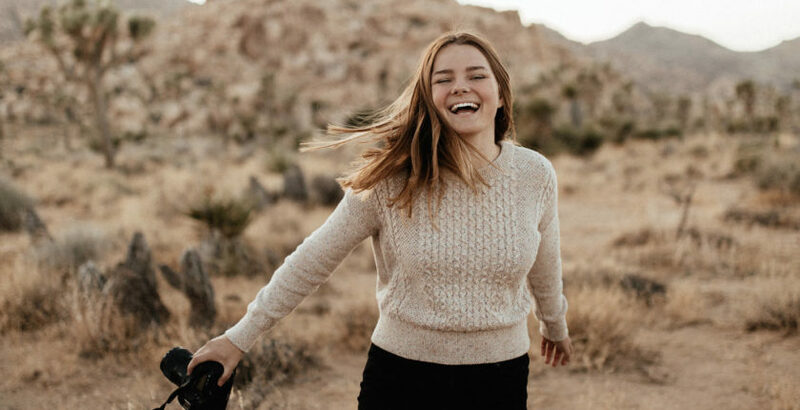 Before her senior year of high school, she had already started her own business, traveled internationally and created her very own brand; but we all have to start somewhere. For Jessie, it was with her mom’s point and shoot camera in Denton, Nebraska as a sophomore in high school. She took an interest in photography at a very young age. From what she saw on Instagram, the photographer community was where she belonged, and it didn’t take before she became connected with photographers around the world. 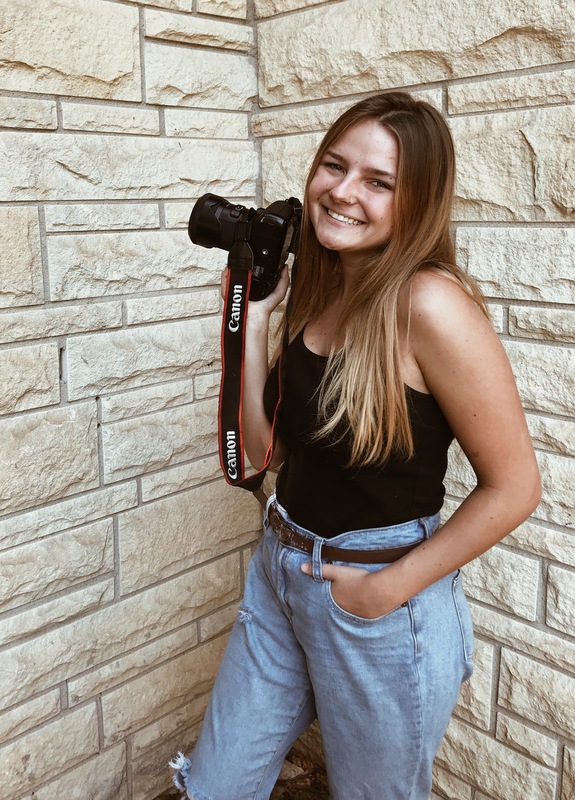 For starters, Jessie created silly videos with her friends for fun and then eventually bought her own camera gear to test out the big leagues of photoshoots. At 16, she was shooting local families and seniors for free. She used all the resources she could in a small town, even going as far as looking for families who needed a photographer off Craigslist. From there, she started building her image by posting her work on Facebook and her self-made blog. She continued to develop her photography portfolio by taking photos on mountainous and beach-side family vacations. This portfolio eventually brought her first real client, a real wedding, all while she was still 16 years old. Approaching senior year of high school, Jessie was sure of one thing: full-time photography. Jessie dove in head first by choosing the road less traveled. She took online classes while working and traveling full-time with her camera. She managed to not step foot in Milford High School until graduation day in May and credits the encouraging administration at Milford High School, who helped with test-taking and ensuring she was on the right path. This allowed for her to move away from home and tackle the challenge of being a “full-time adult.” She said this was a necessary transition for work especially, needing fast wifi and quick access to coffee shops to meet with clients. And that drive has undoubtedly put her ahead. Her average workday typically involves heading down to The Mill or Method coffee shop in Lincoln for an iced coffee to respond to emails, finalize contracts and edit until evening, then heading out to catch the sunset for evening engagement shoots. 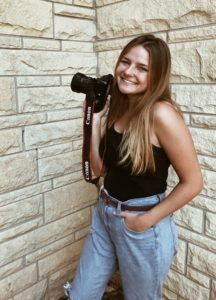 Researching and taking online and in-person workshops about personal branding, marketing, and pricing are just another part of her job that she doesn’t mind doing, but says shooting with her camera is by far her favorite part of being an entrepreneur. But when she’s not working, she’s dreaming. Jessie has big plans for the future. Her primary goal is to start focusing on weddings and getting to know her couples. She loves “adventure couples,” or people who want to travel to shoot in the mountains or the ocean. She’s also starting to get interested in videography but isn’t quite sure where that path will lead. Personally, she hopes to shoot all seven wonders of the world someday. However, she’s finding her way around the world just fine. On a recent trip to Hawaii, she used a #weddingphotgrapher hashtag and was able to book a spur of the moment shoot while she was there. It indeed is the little things that have made all the difference in Jessie’s career. It’s looking for tiny moments that make a photoshoot special, and small prices on plane tickets to little corners of the world. It’s starting small to realize you can create something really big. With Jessie’s adventurous spirit and ardent drive to learn, there’s no doubt she will leave her mark on the world and inspire entrepreneurs along the way.